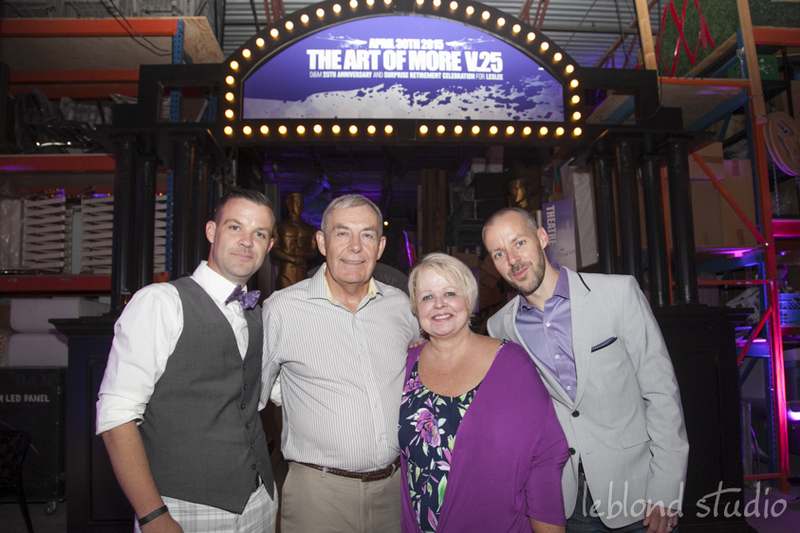 We (TSEvents‘ Pamela Smith, Barbara Bell and I) had a great time at Decor & More’s recent party “The Art of More V.25.” It was a big, fabulous party celebrating Decor & More’s 25th anniversary and – at the same time – a surprise celebration in honour of founder Leslee Bell’s retirement. Surprise! 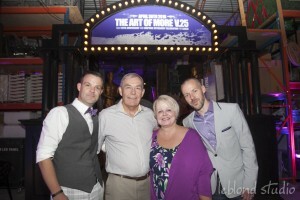 Leslee Bell with crafty surprise party colluders Greg, Tom and Bryan Bell. Leslee is someone who has had a huge impact on the event industry in Toronto. She is a creative and business powerhouse, running a successful event decor business that has grown year after year, earning numerous event industry awards and servicing up to 500+ events a year. She has been a key member of ISES Toronto since its inception, earning her CSEP (Certified Special Event Professional) designation and mentoring numerous individuals along the way. A highly accomplished event entrepreneur and industry infrastructure builder with a warm heart and engaging personality, Leslee Bell is truly someone in the biz to look up to. We understand why, after 25 super busy years, Leslee is looking forward to a more relaxed pace, but we hope to still see her out and about at industry events into the future. The Decor & More team, many of whom have been with Leslee for a dozen years or more, including sons Bryan Bell and Greg Bell, will lead the company into the future. 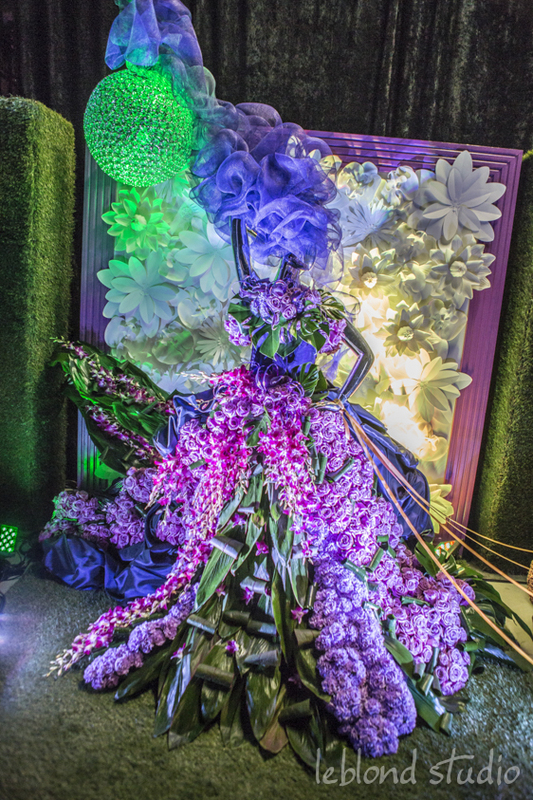 A stunning floral Bopeep (plus 5 sheep out of frame) greeted guests on entry. 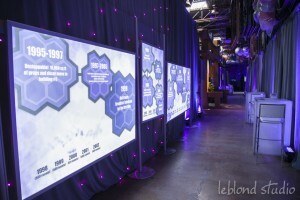 “As if celebrating a 25th anniversary wasn’t enough, pairing on the retirement celebration of one of the biggest icons of the Canadian events Industry, Leslee Bell, Decor & More knew we had to have something spectacular! The event concept became The Art of More V.25 as we began to creatively brainstorm about who we are as a company, where we started and what our clients best know us for. A nostalgic take on our new culture, represented through iconic pieces painted with a splash of More. With careful review we decided to host the event in our own warehouse. 36,000 square feet of inspiration. 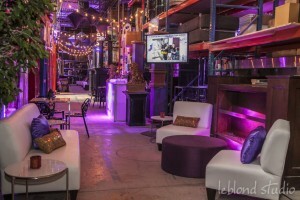 Quickly we realized the aisles of our warehouse could be utilized as “streets” and different neighborhoods or festivals could be represented through food stations, props, entertainment, activations and soft seating. Over the last 25 years, The Streets of Toronto and Canada Coast to Coast have been popular themes. We knew Leslee would love it, guests could relate to it, and all would be excited at how we transformed her once “home away from home” into a lifetime of event memories with a purple twist. 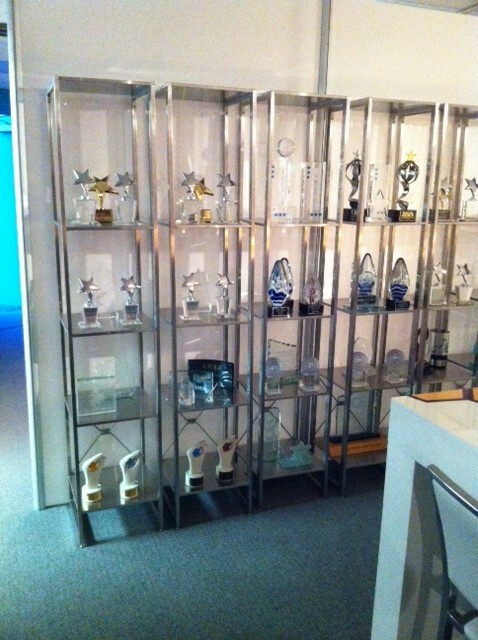 A timeline of Decor & More’s history and achievements. And they pulled it off with great style. The warehouse was teeming with guests enjoying the party. There was eyecandy aplenty between the event decor, the funhouse environment of a warehouse stacked with racks and racks of mysterious props, and plenty of food stations, interactive entertainment and music. When Leslee arrived with her husband Tom on the pretext of giving their dinner guest a tour of the warehouse, she seemed genuinely surprised, and happy to see so many friends and associates gathered for the occasion. 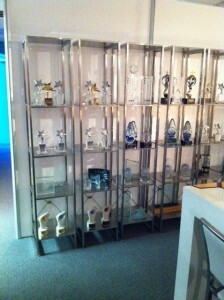 A wee snoop into the trophy room reveals LOTS of prizes won by Decor & More Inc.